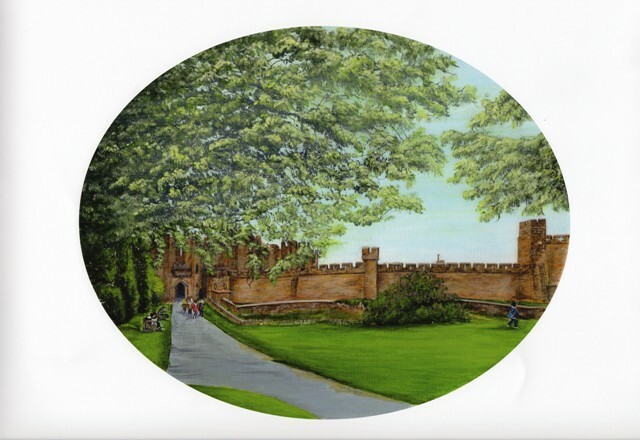 An original, signed work of art in acrylic, of Alnwick Castle in Northumberland. 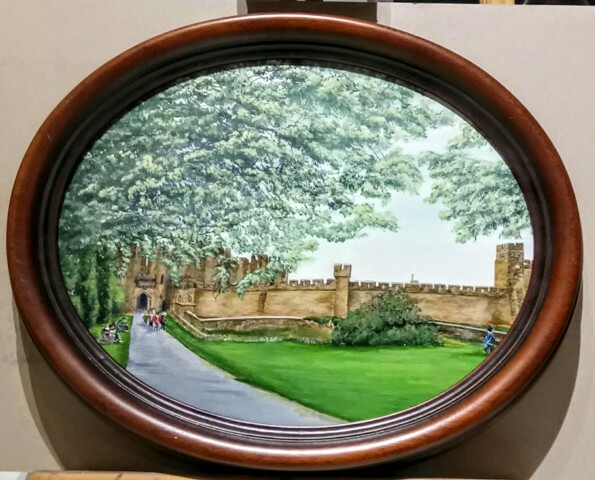 Measurements are 34 x 28cm including an oval, vintage mahogany frame. Showing the historic castle walls and entrance of Alnwick castle, (where harry Potter was filmed) on a lovely Spring day. The visitors are beginning to arrive to see this beautiful, historic bulding as the walls stretch out before us, wrapping the castle safely and securely. Surrounded by lovely countryside, the entrance is lined by trees and foliage in the peaceful scene.